When Chris Crenshaw, from Virginia, in the United States, was asked to take part in a documentary about Alan Shearer, he jumped at the chance. 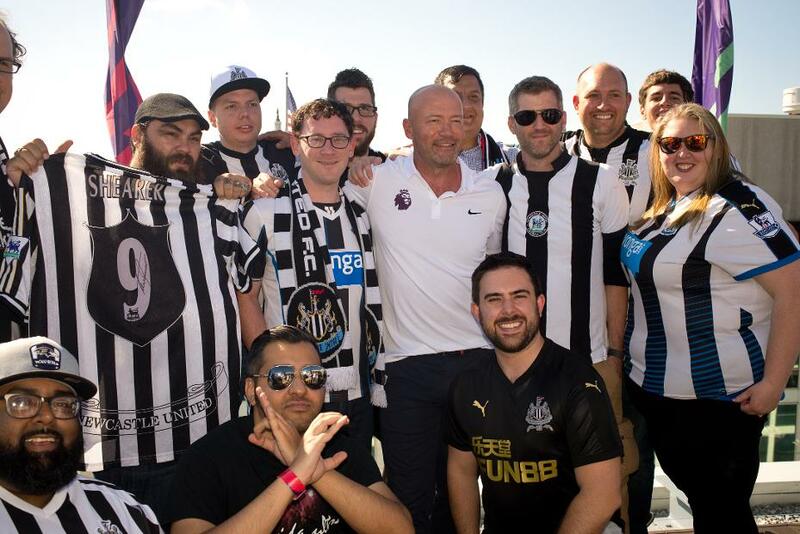 The Newcastle United fan eagerly faced the cameras while attending the recent "Premier League Mornings Live" fan event in Washington DC. “When Alan Shearer was signed, it was such a big deal," Crenshaw told the "documentary". "It's hard to express what a big deal it was. I actually have goosebumps." But he and seven other Newcastle fans got the surprise of their lives because the documentary was in fact a hoax. His hero had been listening next door and came in to introduce himself. Father and son Bill and Lucas Mann were among the eight fans who took part in the fake documentary. Having bonded over a shared love for Newcastle, they have travelled from their home in Virginia to St James' Park every year to watch the Magpies in person. Bill told the cameras of Shearer: "He made it feel like such a big and important club so it was easy to love and to share that with Lucas." So he was "blown away" when Shearer sneaked up on them while filming. "You made a wise decision supporting Newcastle," Shearer, a Geordie native, told Bill.